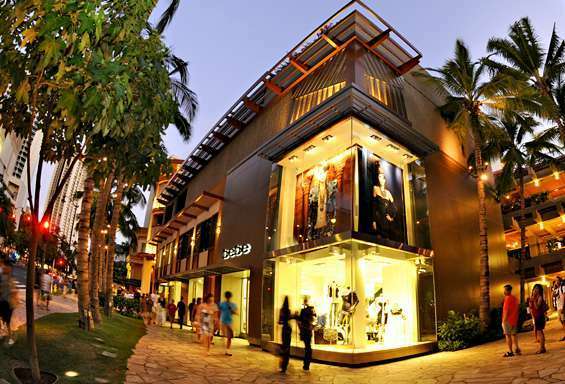 Shopping in Waikiki is a relaxing and enjoyable experience with unique style. You can find a wide range of outlets that feature something for everyone. 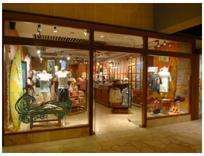 From luxury designer boutiques to authentic Hawaiian apparel and souvenirs, Waikiki offers the ultimate in fashions and designs in Honolulu. 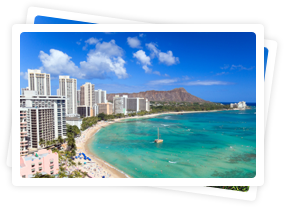 In Waikiki you will find everything from local specialty shops and one-of-a-kind boutiques to popular national retailers and high-end stores. 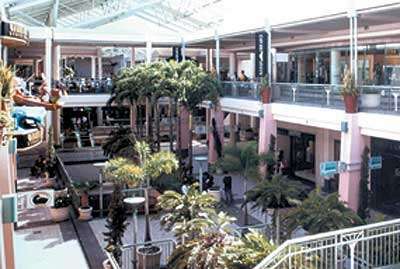 The Ala Moana Center is the premier international and local shopping destination with over 290 shops and restaurants. 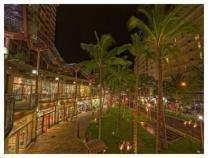 From beachwear to high fashion, casual dining to fine dining, you'll find everything at Ala Moana Center, all in a beautiful open-air setting filled with lush tropical landscaping and koi ponds. Find authentic souvenirs and made in Hawaii mementos from local specialty shops and one-of-a-kind boutiques. 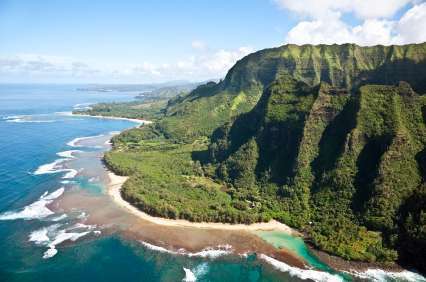 The Royal Hawaiian Shopping Center offers 293,000 square feet of pure shoppers' delight. With its more than 100 shops and restaurants, the Center has something for everyone. 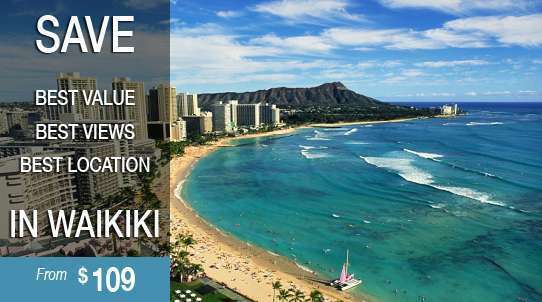 Along the four-tiered three buildings, you can purchase everything from fine designer apparel to fun-in-the-sun apparel, from fine jewelry to costume jewelry and Hawaiian treasures, from fine dining in many restaurants to dining on hot dogs and ice cream. 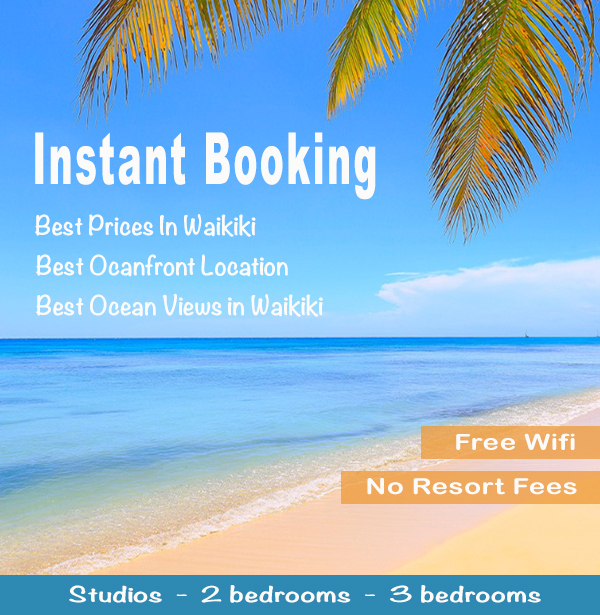 There are boutiques, sporting-good stores, sports shops, jewelry stores, craft shops and practically everything else conceivable, all in the very center of Waikiki. 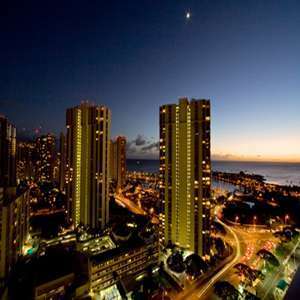 2100 Kalakaua Avenue, the address of eight luxury boutiques and known as the "elegant block" in Waikiki, unveiled its new name of Luxury Row at its recent anniversary event. 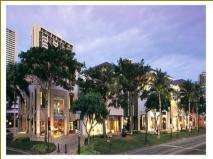 Home to Tiffany & Co., Coach, Gucci, Yves saint Laurent, Chanel, Bottega Veneta, Tod's and Hugo Boss, Luxury Row offers 111,000 square feet of shopping in the heart of Waikiki's urban and beach resort district. Located at Hawaii's largest sports venue, the Aloha Stadium Swap Meet is a place where families can gather to share their cultural diversity with pride and a feeling of Aloha. Since 1979, the Aloha Stadium Swap Meet has become Hawaii's premier outdoor market, featuring over 700 vendors, crafters, artists from all over the world, a true melting pot of Aloha. 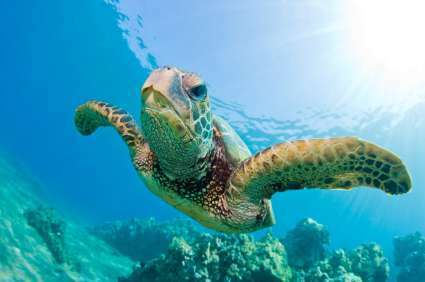 At the Aloha Stadium Swap Meet, you can find discounts on a wide selection of high quality products from clothing, accessories, Hawaiian souvenirs, pre-packaged ethnic foods, fine jewelry and vintage antiques. Beautifully handcrafts products and exclusive art pieces are made and sold by the artist themselves, which truly make great gifts for yourself or that special someone. After shopping through the seemingly endless rows of bargains, sit to refresh and relax at one of the many concessions stands throughout the market. 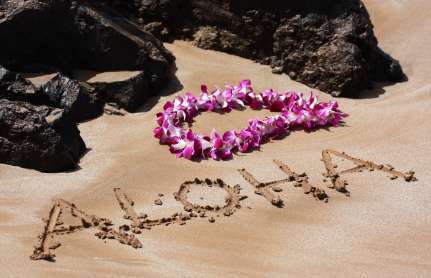 Refresh yourself with ice cold Hawaiian shaved ice, a healthy Gyro at Leo's Taverna, or a hearty meal at Aloha Foods. Either way, your appetite will be taken cared of from a menu of tasty foods. We are happy to provide any more details, just give us a call or send an email and we'll be happy to share our knowledge.